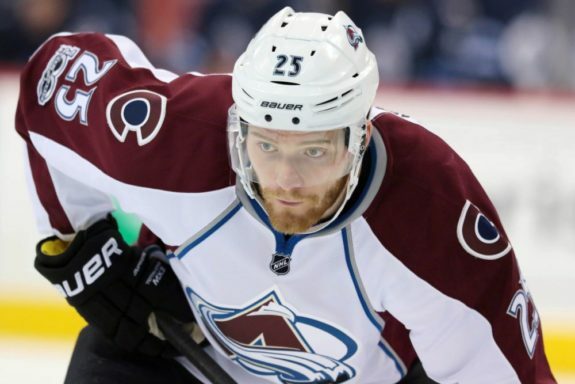 After trying to live up this his potential in multiple seasons, Mikhail Grigorenko didn’t get a qualifying offer from the Colorado Avalanche and became an unrestricted free agent. He is now the top scorer for CSKA Moscow, having scored eight points in seven games so far. In this translated interview, originally appearing on the Russian website Sport-Express, the former Buffalo Sabres and Avalanche forward talked about his move back home to Russia, his years in the NHL, his ties with Patrick Roy, and other NHL players. Igor Eronko: It doesn’t happen often that a former first round pick doesn’t even get a qualifying offer and becomes a UFA. 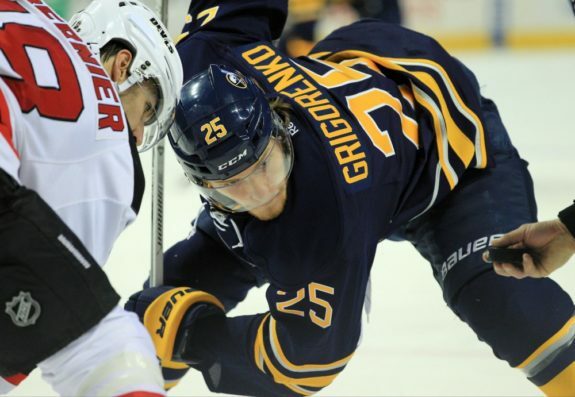 Mikhail Grigorenko: Of course I felt bad when I knew that Colorado wasn’t going to qualify me, but what can you do? And frankly, it wasn’t a huge surprise. 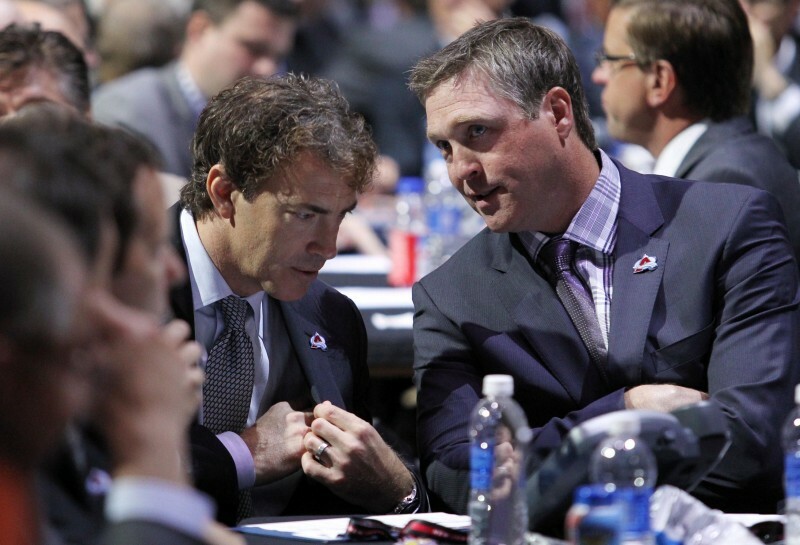 Patrick Roy wanted me and started the trade for Ryan O’Reilly, he wanted me on his team. He always helped me, he gave me ice time and knew how to use me. And before the season he left the team. The new management didn’t like me too much and so we decided to part ways. Nothing terrible. IE: Back in 2014, you were sent to the junior leagues, but you refused to report to your QMJHL team. You refused, and explained it on Facebook, writing that in Russia you had no bed, shower or heat. MG: Well, it wasn’t that bad actually. I foolishly wrote that post. I was emotional. I couldn’t understand who I was, where I was. I was very disappointed. The second year I tried to make it to the NHL, but they again sent me down to the juniors. Of course, I got every kind of comment. I tried doing too much in that situation. I’ve been said that if you’re young and inexperienced and don’t know what to say, don’t say anything to the press and, most importantly, don’t write anything. That’s right. I didn’t know if I should go or not to go to Quebec. I discussed the situation with my agent. It was a hard and unpleasant period. IE: Sergei Fedorov, then-GM of CSKA Moscow, told the press that he tried to bring you back to Russia a number of times. MG: I signed quite fast an entry-level deal with Buffalo and when the deal was over I had a chance to sign with CSKA, but then I was traded to Colorado. 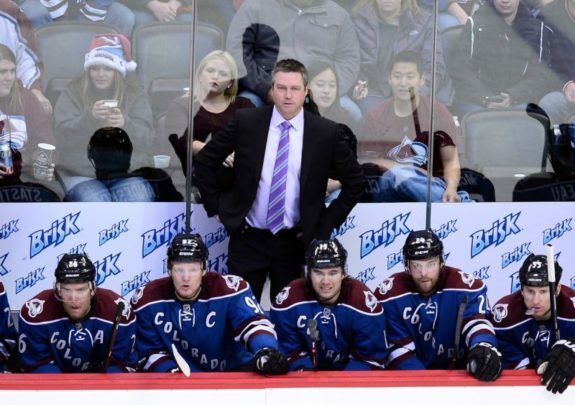 The Avs were coached by Patrick Roy, whom I knew very well and we also worked together in Quebec. He really wanted to see me on the team and so I stayed there. I played rather well and deserved another contract. When you are a free agent, you always weigh all the pros and cons, and in all these cases I thought that the NHL was a better option. This time, I think that the KHL was a better decision. IE: What did you learn from Patrick Roy? MG: A lot of things. I’m thrilled by everything he does, his ties with hockey, the way he works. I’ve never seen another coach giving his job so much time. He’s always watching videos, he is at the arena from 5 AM until night, and he’s busy with something the whole day. He truly lives hockey. He treats everyone the same on his teams. He was always like that, it’s not important if you’re a member of the first or the fourth line, he gets everyone to feel important to the team, even the players who play only five or six minutes. I have only positive thoughts regarding working with him. IE: He also acts in a very emotional way during games. MG: That’s the way he does it. He wants to win whatever it takes. Players love this attitude. He’s very demanding, and can also swear when it’s needed. But you also understand that it’s just his way of getting the best out of you. He’s that way just because he hates losing. That’s great. IE: Does he act that way during practices too? MG: If the team has a good practice, then he’s your good friend, if not, then he’s not too happy (laughs). IE: Can something fly around the locker room? MG: Yeah, that happened too. IE: Did he try to teach you something useful to use against other goalies? MG: Of course. When I first got to Quebec he taught me a lot of things regarding playing without the puck, defense, attack. Details. To always battle hard and try to be better than your opponents. When I left Russia, my game was built on constantly having the puck on my stick and my offensive game. He taught me the importance of playing a strong two-way game. That’s why now I’m more universal and I’m better also on defense, penalty killing, and faceoffs. IE: Was it hard to score on him when he participated in the team practices? MG: Yes, it was. He plays such an old school style, after all he started playing pro hockey in the 80s. He doesn’t play a modern style, and it’s hard to get used to his style. Of course, his reaction is still at the highest level and he’s hard to beat. And if you don’t score, then he’s already yelling at you that you can’t shoot or something like that (laughs). IE: Roy often said that your ideal position is at center, but he played you a lot on the wing. MG: Yes, that’s true. He understands that for me it’s better to play in the middle, but for the team, it’s better if I played on the wing. Also because Colorado had three strong centers with Duchene, MacKinnon, and Sederberg. They needed to play center. Roy wanted me to play a different role. Thank his teaching, now I can play in the middle, on the left and on the right. I am confident to play in all the three forward positions. IE: You signed a three-year contract with CSKA Moscow. What’s up next? Trying to get back to the best league in the world? MG: It wouldn’t be correct to say that my goal is to get back [to the NHL]. We’ll see. I signed with CSKA as I wanted to play for the national team and win the Gagarin Cup. The team is very good. The KHL is a very good league. I’m not thinking about what to do once my contract runs out. IE: Who is the NHL player that impressed you the most? MG: Connor McDavid. 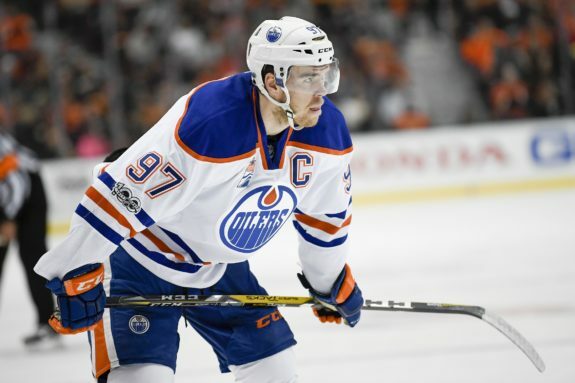 It’s incredible to think that at his age he’s the captain of his team and the player who, almost alone, brought the Oilers to the playoffs. It’s something incredible. You look at a 20-year-old guy and he’s the best player in the NHL. He scored 100 points! And of course, Nikita Kucherov is impressive. You just watch him and see how much he has progressed, how many goals he can score now. I think he’s one of the top three players in the NHL. IE: What about Sidney Crosby? MG: I’d say that he’s a universal player. If you talk about universality then he’s the best. McDavid is better in the offensive zone, is faster, is more technique-sound, but Crosby is all over the ice. He’s great in so many aspects, on defense, in the battles, in the faceoff dot. He has no weak points. IE: What defenseman is always painful to meet? MG: Zadorov (laughs). Nikita is, of course, a good defenseman. If you fall under one of his hits, then you’re done. Ok, probably you won’t quit hockey, but it’s better not to. He’s very good at playing physically. Generally speaking, Shea Weber. You don’t want to get caught by him doing something in the slot. He’s very big and physically strong. I’d also like to say the name of [Erik] Karlsson, but he’s a different player, as he’s better in attack than most of forwards. [Brent] Burns is the same. Each team has such players. IE: Before the draft, you were compared to Evgeni Malkin. But something went wrong. MG: Not so many players can progress to reaching Malkin’s level. I don’t have such a task. I simply want to fulfill my potential and become a national team player. Working hard, practicing, and having the right attitude.